Home » Adnan Januzaj , Belgium , borussia Dortmund , Manchester United » How About a Stint in the German Fourth Tier for Adnan Januzaj? How About a Stint in the German Fourth Tier for Adnan Januzaj? After impressing in the early month's of David Moyes' ultimately doomed season at the helm of Manchester United, Adnan Januzaj was expected to kick on under new manager Louis van Gaal and become the club's next big thing. The Belgian winger was even handed the recently retired Ryan Giggs' number 11 shirt at the beginning of last season as almost a show of how highly the club rated him. What could go wrong I ask you? With expectations running high, he never really took off as rumours abounded that his attitude and commitment weren't what they should be. After he struggled to fit into the side last season and was subsequently loaned out on a season long loan to Borussia Dortmund this term. With Dortmund though he failed to make a single start, featuring only from the bench, and therefore struggling to make an impact. His attitude was again called into question when he declined Enzo Scifo's call up this season to Belgium's under 21 side. 'He did not exactly refuse but we were not under the impression he wanted to come,' said Scifo. 'If that's the case it's better not to come. Januzaj is now on his way back to Manchester United, but not because Van Gaal requested his return necessarily, but because he was frustrated with his lack of chances at Dortmund and requested a return to Old Trafford himself. Whether or not this once highly rated player can find form back at United or he's another that believed his own hype and doesn't have the substance remains to be seen, but in a surprising twist a semi-professional fourth tier German side called Rot Weiss Ahlen took the opportunity on Thursday to make a cheeky punt for for the player. 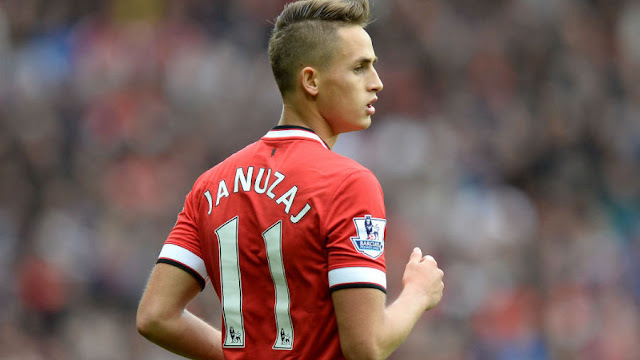 They piped up on social media asking United if they could have Januzaj for the rest of the season on loan. The ambitious club also mentioned that both Marco Reus and Kevin Grosskreutz started their careers playing at Rot Weiss. If there is any truth at all to the rumblings of his attitude problems, perhaps a spell in the German fourth division will do the young lad some good.